I was reading about how Bitcoin works from Satoshi's original paper. I had a query while going through the 7th paragraph. What is the difference between Root Hash and Block Hash? 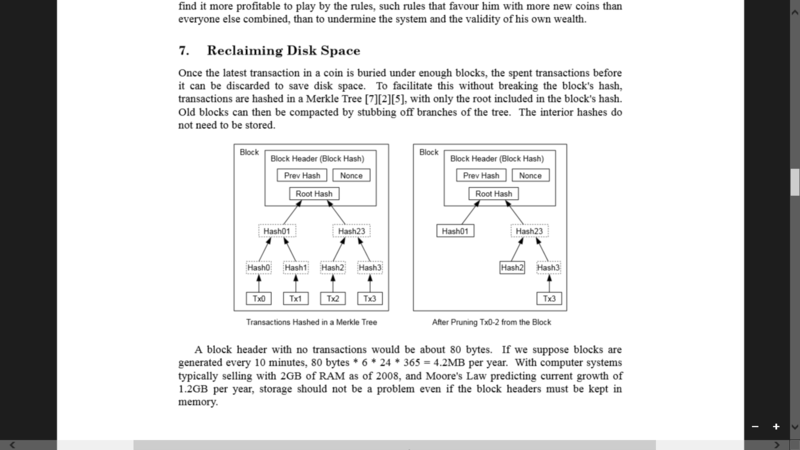 Isn't the block hash same as the hash of the root of its Merkle Tree? I have studied Merkle tree and understand how it works. First, all transactions are hashed along a Merkle tree. The root of that tree is the Merkle root. Then the block header is created with 6 fields: version number, the hash of the previous block, the time, the difficulty, and the Merkle root computed in the previous step. Then that block header (which contains the Merkle root) is hashed, resulting in the block hash. Isn't the block hash same as the hash of the root of its Merkle Tree? The root hash is a 'Merkle Tree' of all the transactions in the block. Not the answer you're looking for? Browse other questions tagged block merkle-tree block-header or ask your own question.